It has never happened before at South Broadway, but it will happen October 11. 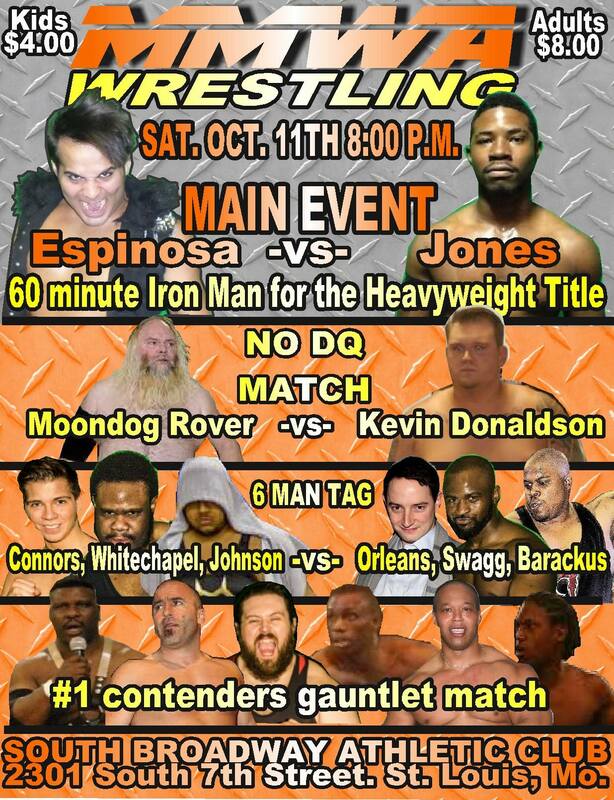 Brandon Espinosa will defend his MMWA Heavyweight Championship for the sixth time against Da’Marius Jones in a 60 minute Iron Man match. The match was declared by Jones last month after he won the 2014 King of Cable Cup. The Cup victory allowed him to pick the time and means for a title shot. An Iron Man match is a grueling test of stamina and endurance. 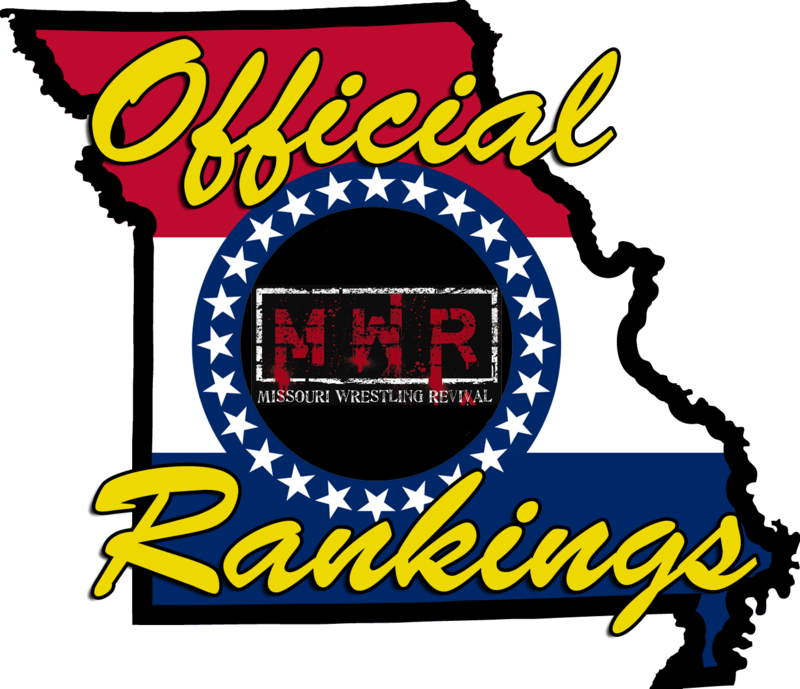 After an hour has expired (the maximum time limit of any match in Missouri), the man who has scored the most falls will be the winner and champion. Also on the card, Moondog Rover puts his TV Title on the line in a No Disqualification match against Kevin Lee Davidson. On the undercard, Everett Connors, Jackson Whitechapel, and Laurence Johnson vs. Barackus, J-Mal Swagg, and Sean Orleans in a six-man tag. Andrew Wilder vs. Evan Gelistico, A.J. Williams vs. Chase King, and a gauntlet match with Gary Jackson, Tony Kozina, Brian James, Johnathon Zulu, Dave Osborne, and LaMarcus Clinton.